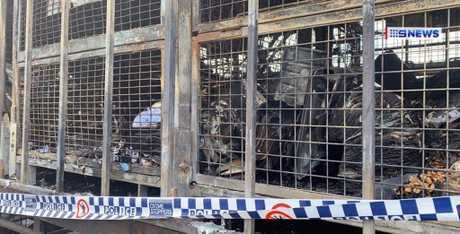 A SEMI-TRAILER full of mail was completely destroyed by fire overnight after it caught alight while delivering in Central Queensland. 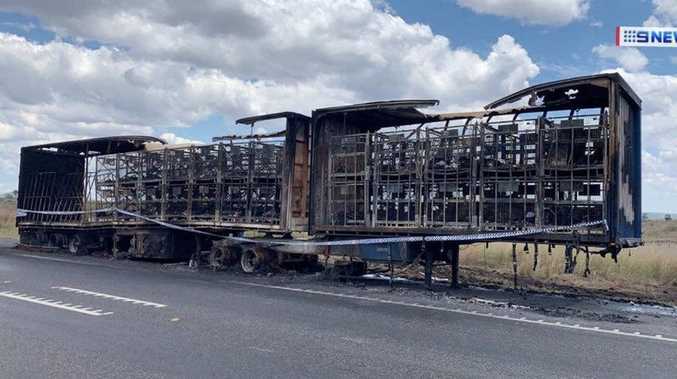 Queensland Fire and Emergency Services were called to the fire on the Capricorn Hwy and Evergreen Rd around 11.30pm to reports a prime mover carrying post was engulfed in flames. Four fire crews battled the truck fire, around 10km from Westwood, for more than an hour while "several explosions" erupted in the trailer. Crews managed to control the fire by 12.38am but there was still heat in the trailer. The Australia Post truck driver was able to unhook the trailers from the prime mover, but all mail on board was destroyed. He was not injured. The destroyed mail was destined for areas between Bluff, Blackwater and through to Longreach and Winton. The Capricorn Hwy was closed to all traffic just before midnight but reopened to one lane a short time later. All crews left the scene around 2am. More fire and police crews were back at the scene around 10.45am today to dampen down smoulders in the truck. Police were assisting emergency services. Customers in the affected areas who were expecting mail should call the Australia Post Customer Contact Centre on 13 13 18 quoting reference number 21604740. Australia Post understood customers frustration and said it would work with business customers to identify and then contact anyone who may have lost items. Australia Post stated the incident was being investigated.